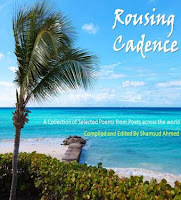 The book "Rousing Cadence" is taking shape now and i will be submitting the book to the publisher by the end of this month and hope that we should see the book in the market from the beginning of August 2011. I am excited because i have never done something of this sort and I am sure this would be a great experience and once again i would like to thank all the contributors. If you love Malcolm Gladwell; you should love what you read now. I love his work and this the below is based on one of his book. We know Bill Joy and we also know Bill Gates. They are the achievers and we can also add many other names. I would put the Beatles here. Around 1969 we saw the 1st personal computer taking shape. Now the challenge is there are few places on earth at that time where you had access to computers where you can TIME SHARE. So to become someone who understand the system and use it in the future you need to be a person who has lot of patience and intellect and systems to practice. The University of Michigan had one of the most advanced computer system at that time. Bill joy was lucky to be there to test his potential and also had access to free time share which if not have been very costly. After being dropped out of School Bill gates went to LAKESIDE, a private school run by the elites where too they had one of the best Computer System in place which no other schools in the world had. This was free. Bill Gates gave more than 10 -12 hours on weekends and many hours during weekdays. When the time share computer terminal closed down he went to a place called C-CUBED where one of his school friend's teacher worked and gave them free access on weekends and finally when this too got closed down Bill went to the UNIVERSITY OF WASHINGTON which also has installed a Computer where access was free from 3- 6 A.M. Something was happening and both Bill Joy and Bill Gates got access to something which no one at that age had. Now if we look at the number of hours they have practiced it comes to 10,000 hours. What has 10,000 got to do here. Let's go back to the BEATLES. They are the best band of all time. They could play everything and any thing. They never started that way. They were a small band from LIVERPOOL. Playing mostly in clubs and there were many similar bands. The Beatle for the most obvious of reason had to go to HAMBURG. Without HAMBURG Beatles would have taken a different path. There is this person from Germany - Hamburg looking for musicians for his club landed in London and met this gentleman [ a business man] from Liverpool. Liverpool happened because of this gentleman and Beatles happened because of Liverpool. But how ? Let's dig. The Beatles ended up traveling to Hamburg five times between 1960 and end of 1962. On the first trip they played 106 nights. Second trip - 92 times , third - 48 times for a total of 176 hours and the last trip for 90 hours. In a span of little more than 1.5 years they performed for 270 nights and in fact this goes to 1270 live performance. Even the best of the musicians of today or in the past have not done 1270 performance in their live time. This made than try new things, new music all the time as they were performing LIVE more or less in the same place and they are required to keep on changing and innovate more to keep the crowd coming. This is their 10,000. I agree 10,000 is a magical number and to become the best you are required to practice irrespective of knowledge, influence and intellect. I am off to fulfill something which needs lot of practice. Not sure if this could be accomplished as I am starting late. I am sure I will find my 10,000 soon. Read Malcolm Gladwell for more.